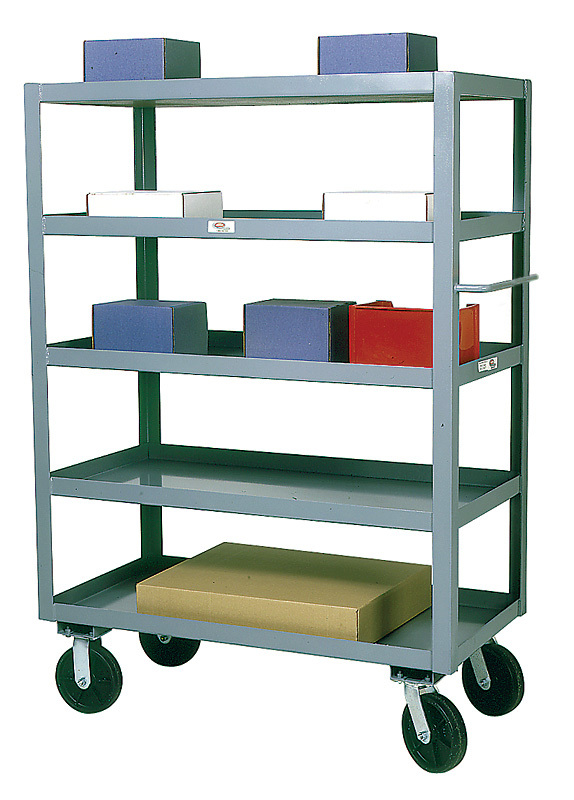 These 5 shelf service carts are an excellent option for transporting loads around a facility. Haul heavy cartons, dies, tools and machine parts with ease. Choose from models with 500 or 800 pounds overall capacity. Load and unload anything with these tilt bin carts. This is one of our most popular products. These rugged, easy rolling carts are great for general material handling. 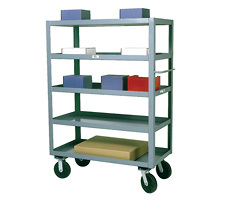 Transport boxes, tools, dies and machinery parts with these heavy-duty 5 shelf service carts.